Hunting gear, it can be flat out addicting for guys and gals like you and me. We love testing out the new gadgets that hit the market — especially the ones that have promise to actually work or do something for us. But taking a garage full of hunting toys to the woods isn’t feasible for those who have to walk deep into the backcountry to get to their hunting locations. Here are a few steps to get everything packed up the way you want it for those long public- and private-land hikes to the treestand. Purchasing gear is fun. Period. But when you do, make sure you keep weight in mind. Some options are simply lighter than others. That said, lighter-weight models can mean one of two things — either they’re cheaper made, or they were designed to be lighter with you (the mobile DIY hunter) in mind. Buy gear wisely. 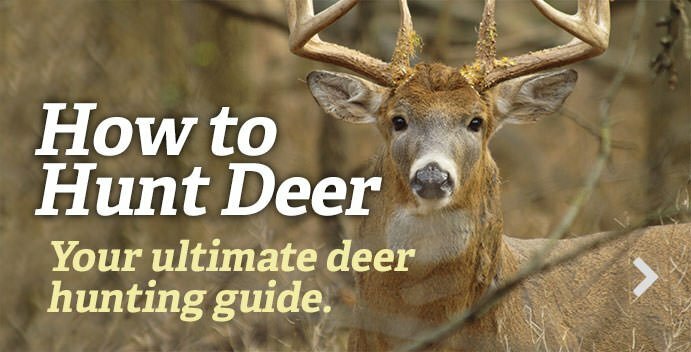 This is especially important when purchasing a lock-on treestand and climbing sticks. You have a stable of gear options there at home. That’s great. But determine what is vital for the immediate hunt at hand, and what is not. If it’s early season, don’t take the rattling antlers. If it’s warm out, don’t take a bag of extra clothes. Take the necessities and nothing more. Never cut weight by losing the safety, first aid and survival gear. That takes priority, especially when hunting deep in the sticks well away from other people. You never expect accidents to happen to you until they do. Be prepared in the event that they occur. Put your gear into your pack in a way that the most relevant stuff is the easiest to get to. Don’t bury the first piece of gear you’ll need at the bottom of your pack. Have dedicated pockets and holders where the most important gear always goes. That way you won’t have to fumble around to find it when you need it. I like to do hang-and-hunts on both private and public land. I have a process that I follow. I have padded straps that hang from the bottom of my treestand platform. I use the stand ratchet strap to hold the seat snuggly against the platform to keep it from making noise. Then, I strap my climbing sticks to the top side of the stand. Lastly, I hang my pack and secure it over the climbing sticks. I raise this all up to a sitting position and lift the load onto my shoulders. I carry my bow in one hand and either a flashlight or navigation device in the other. This is my personal system for packing my hunting gear in and out of the woods.